Eternal Orthodox Church calendar for the 17.05 year 2017. 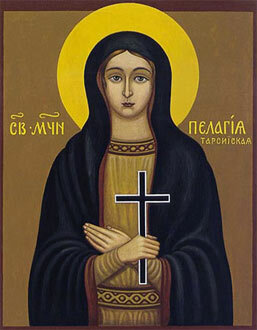 The Monk Nicephoroswas the teacher of Saint Gregory Palamas (Comm. 14 November). Saint Nicephoros pursued asceticism on Athos in the XIV Century and left after him the profound spiritual work "The Wise Method of the Jesus Prayer". 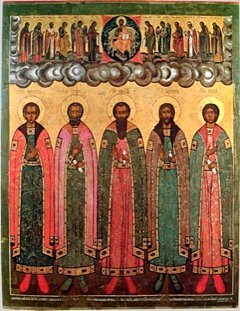 The Monastic Brethren Nikita, Kirill, Nikiphor, Kliment, Isaakii – Alphanovi (Sokol'nitskie) lived during the XIV Century at Novgorod. They led a righteous life and founded the Sokol'nitsk monastery. 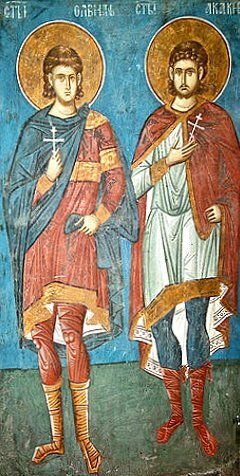 As the chronicles relate: "On the Sokol' hill was erected a wooden church of Saint Nichola and a monastery organised" in 1389. The righteous Alphanovi were kinsmen according to the information of the chronicler Yakov Anphalov or Alphanov, who fled to the Dvina, saving himself from pursuit for dealings with Moscow, and the righteous ones were subject to misfortune because of their ties of kinship with Yakov, and by the grievous agony of innocent suffering cleansed themselves for eternal blessedness. 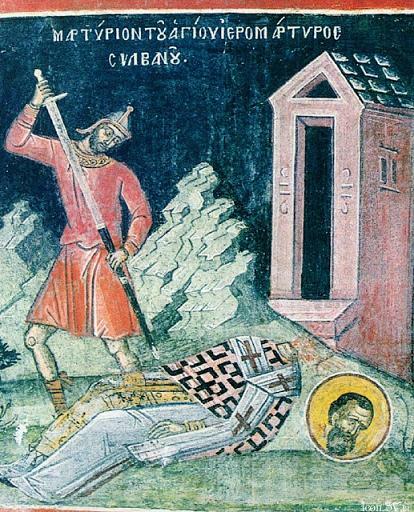 In the "Tale" about the brothers is recorded a miracle, arising from their relics after death. The celebration of their memory is placed under 4 May and 17 June. As the result of a fire which destroyed the Sokol'nitsk monastery, the relics of the monastic brethren were transferred to the Antoniev monastery on 4 May 1775.